Want to be notified of new releases in tularovbeslan/InStatPlayer? 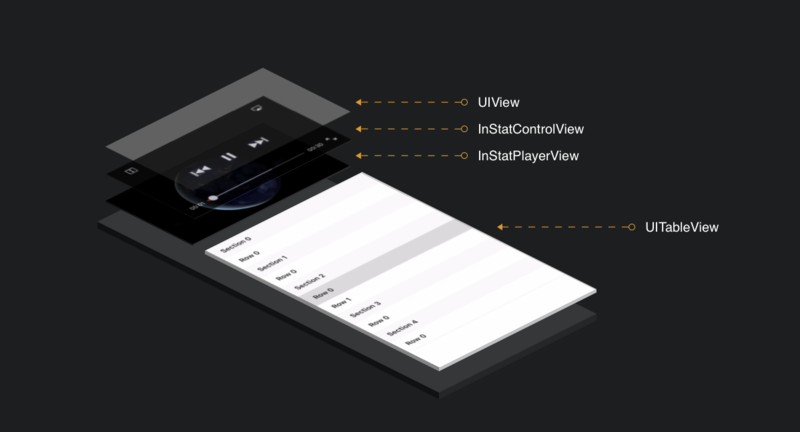 InStatPlayer is a flexible media player, the playback queue consists of an nested array AVPlayerItem, which makes it easy to get IndexPath, it is very convenient to interact with UITableView. Open example project to see how easy it is to manipulate the UITableView. To run the example project, clone the repo, and run pod install from the Example directory first. Using the customizeControlView() method from InStatControlView you can customize the controls according to your desire. The project example provides an example of how this can be achieved.